PACK® combines the energy and fun of a small group, with the coaching of a certified Fitness Together® trainer in a private setting. 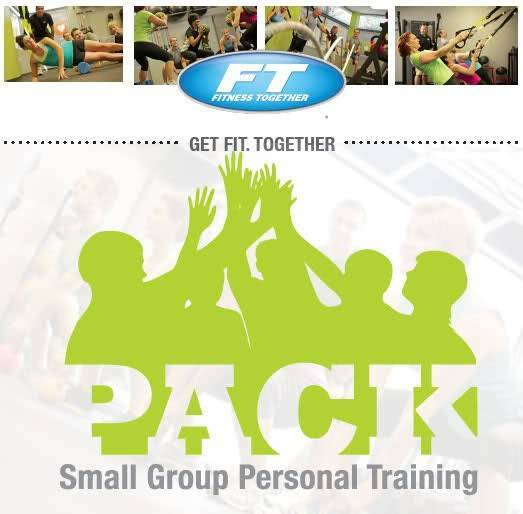 Or quite simply, PACK® is truly personalized group training. In PACK® training, like-minded people begin together, work together and finish together in pursuit of a common purpose and to achieve individual goals. Great results cannot be achieved with short cuts or gimmicks. Through state of the art techniques and science, Fitness Together® combines strength training, cardio conditioning and nutritional guidance for the complete fitness solution. Whether it is part of PACK® training, 1:1 personal training or some combination of the two, Fitness Together offers a safe and effective solution for people at all levels of conditioning to feel better, look better and perform better than you ever thought was possible. You’ll be part of the PACK® without getting lost in the crowd! Let's get fit together! Contact us today. You can be part of the PACK® without getting lost in the crowd! Contact us to learn more.